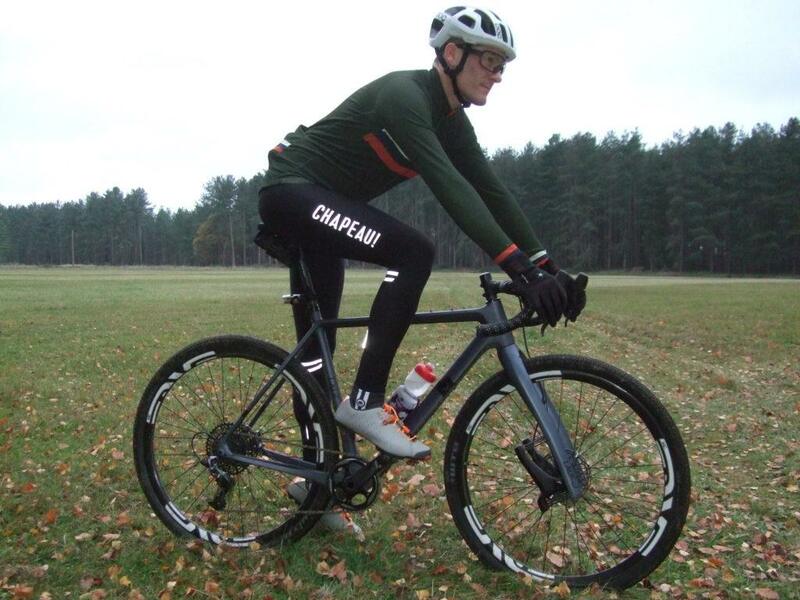 Review: Chapeau Club Thermal Jersey - ADVNTR. Chapeau are well regarded in roadie circles. They have a reputation for stylish clothing that doesn’t cost an arm and a leg. 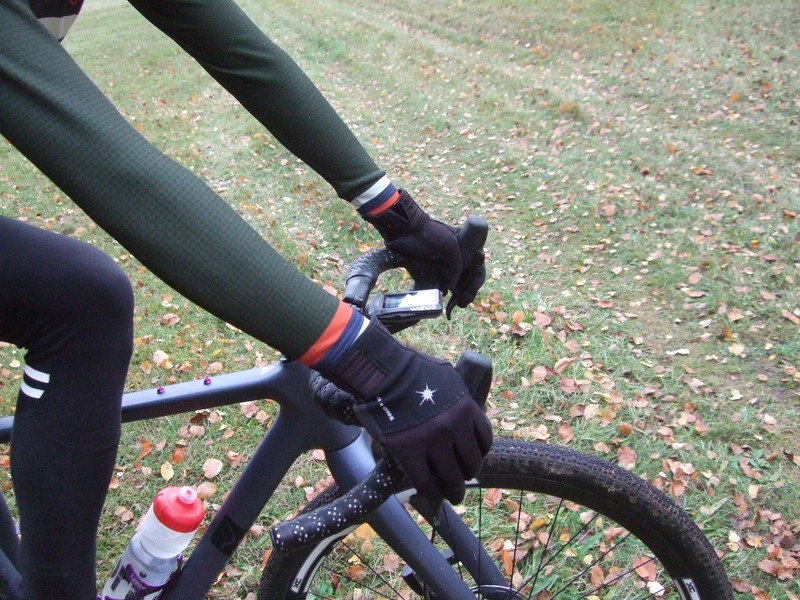 Their Club Thermal Jersey continues this trend and looks ideal for cooler days in the saddle. Chapeau’s sizing is spot on and as ‘Mr Average’ at 5’10”, 38″ chest and 32″ waist, a medium really is a medium. The garment is close fitting but not racer tight. You can quite easily layer up to suit the temperature. The waist is tapered and, when in a riding position, there is very little bunching around the front. There’s also enough stretch to the fabric for a little give around any ‘curves’ you may be sporting. 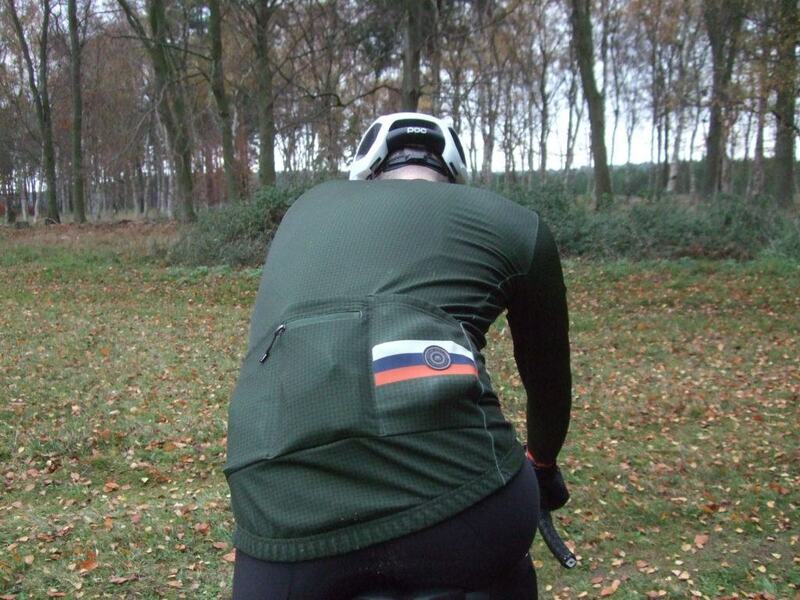 A good comfortable fit and little bunching of material when in a riding position. I felt the sleeves could have been just a teeny bit longer. Although the cuffs are elasticated, they slowly ride up to expose a small, but annoying, cold gap between my gloves and the hem of the sleeves. Sleeves had a tendency to ride up. 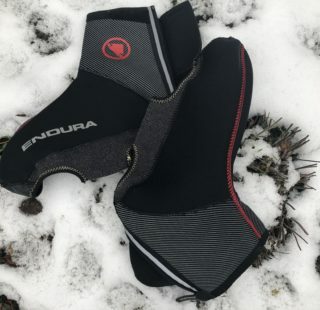 The three generous back pockets will easily swallow everything you normally take on a ride. There is also a water resistant security pocket which is the perfect size for your phone. Top marks once again to Chapeau for adding a large tag onto the zip of this pocket so you can easily tug it with gloved hands. Most rear zipped pockets usually have the smallest, most delicate of tags which are nigh on impossible to open, let alone find, when riding along. 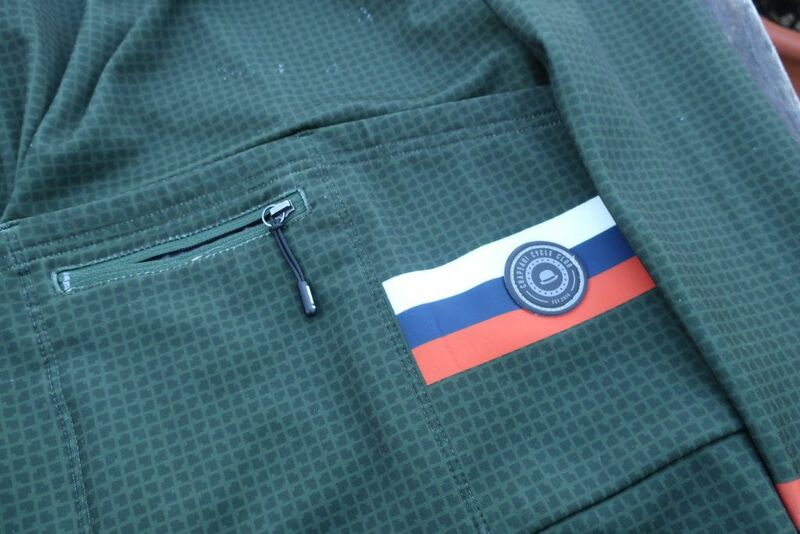 A similar tag wouldn’t have gone amiss on the main, full-length zipper just to lessen gloved finger fumbling. Dangly zipper is easy to find with gloved fingers. That little logo is the only reflective detail. As for the styling, Chapeau have gone with a retro theme. A welcome change when compared to most winter jerseys. 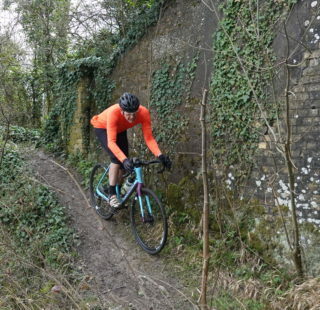 Search for ‘long sleeve’ and ‘winter’ on your preferred online killer of independent bike shops, and you’ll be presented with a list of black or fluorescent offerings. If you want to hide in the shadows like a ninja, or stand out like a lighthouse, there’s a wealth of options. Predictably, there is nothing in between. Chapeau have targeted this neglected zone. 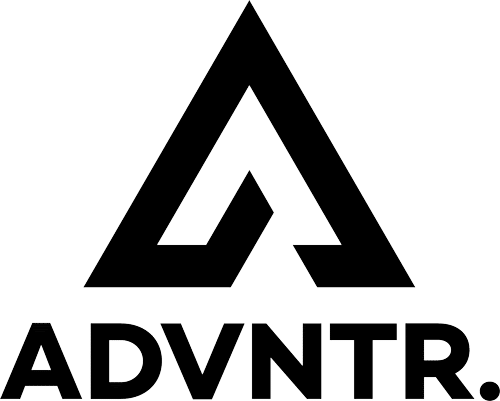 The styling is a little more individual and, as their branding is relatively subtle, you won’t feel like a rolling billboard. Styling is subtle and logos minimal. If you don’t like to wear brand names on your sleeve, this is for you. Although the muted colourway is a welcome change, Chapeau might have included one or two more reflective features. Other than a small reflective logo on right rear pocket, there’s nothing else to catch a drivers attention in the headlights. 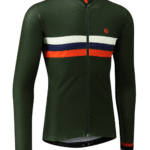 The jersey is made from a “luxury Italian made fabric” which feels wonderfully soft to touch on the inside with a fleece lining and soft seams. The fabric is finished with a DWR coating to keep you dry in light showers. It’s not close to Castelli Gabba levels of waterproof, but is sufficient to repel road-spray and keep you warm. It also has a snug and high collar which is great at keeping the chill off and a ‘zip garage’ to prevent any irritation. 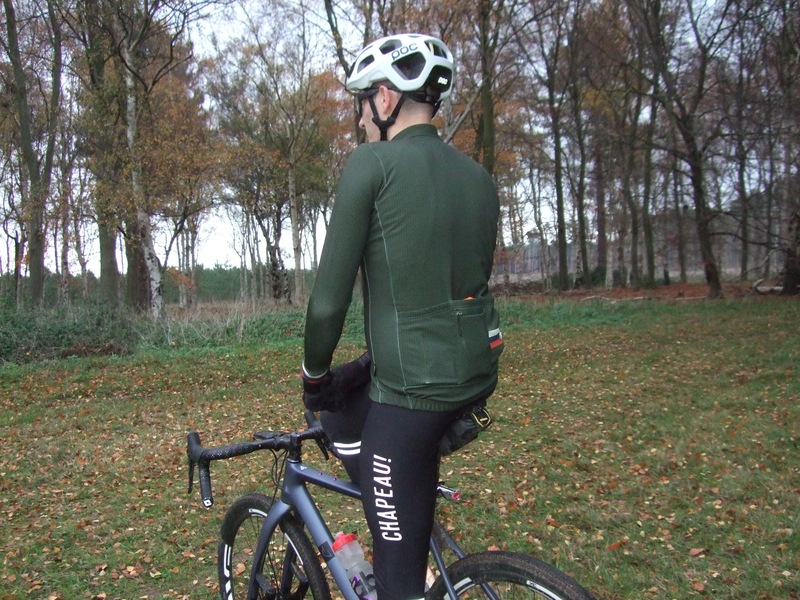 If you don’t like green, Chapeau also do the jersey in a fetching grey. Chapeau claim the Club Thermal jersey is suitable for three-seasons. Having tested it in everything from relatively mild low tens, right down to 0, I’d back that claim. For what feels like a very thick garment, it is surprisingly breathable. It is best suited to temperatures in the single digits, maxing out at 12°c at best; on one occasion when the sun did make an appearance and temperatures rose to a balmy 14°c, I made full use of that full-length zip! 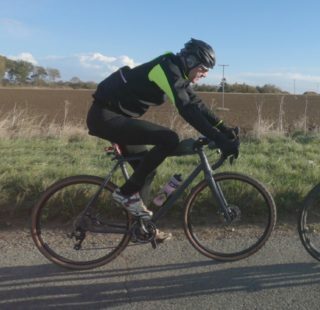 On colder rides I no longer have to layer up to the hilt and look like a convincing body double for Mr Blobby. 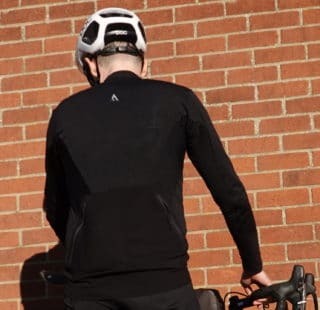 It’s an incredibly versatile jersey and, as long as you’ve a suitable assortment of base layers to see you through the seasons, you shouldn’t need much more. Unsurprisingly, it’ll quickly cool down when you’re stationary and no longer building up heat. On stop occasions such as changing a tube, I’ve slipped on a gilet to keep my core temperature up. The jersey has retained its soft and fleecy feel after multiple washes and the DWR coating is still shrugging off road spray. And it washes well too, road spray can usually leave a lasting mark on garments but there are no concerns with Chapeau’s Italian fabrics. What I have noticed though is the fabric does catch easily. White bobbles are very visible where I’ve slid things in and out of rear pockets. And again on the sleeves where a close brush with branches has lifted the material. This slight issue aside, it doesn’t detract from what is overall a very practical piece of clothing. 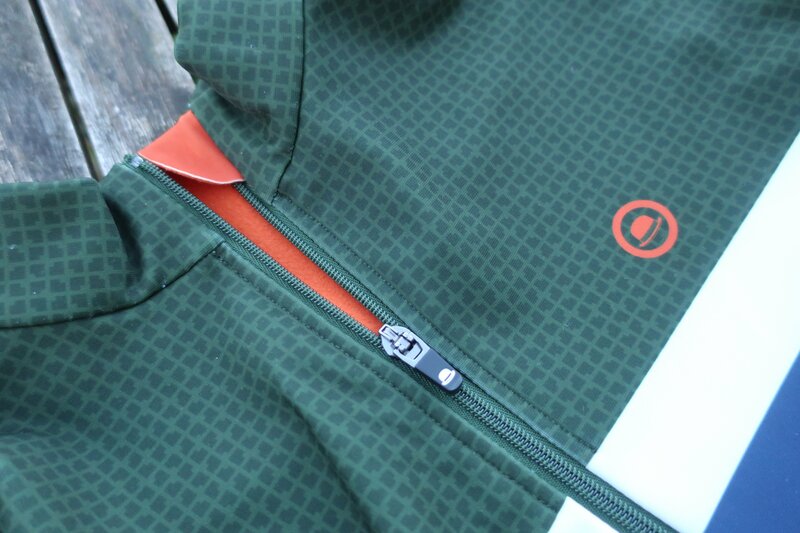 Zipper pocket and snug collar will keep you toasty even when the weather isn’t. 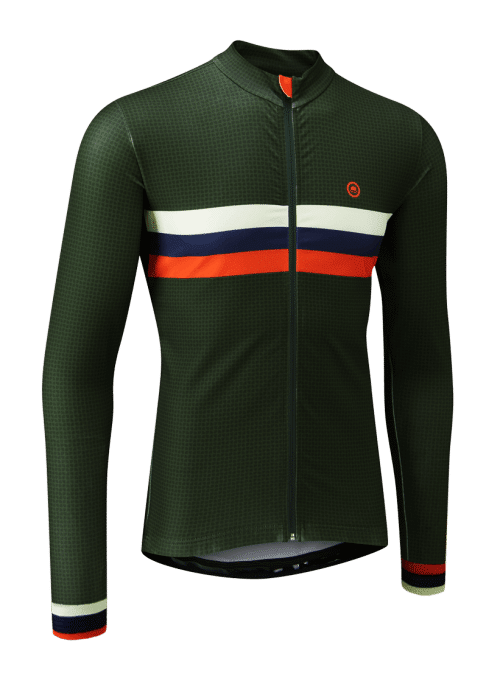 Overall the Chapeau Club Thermal jersey is a quality three-season jersey which you can wear as a single layer or team up with additional layers according to the conditions. The material is warm and breathable and on a par with more expensive jerseys. For the asking price of £100, I don’t think you can go far wrong. Retro appearance, modern fabrics. 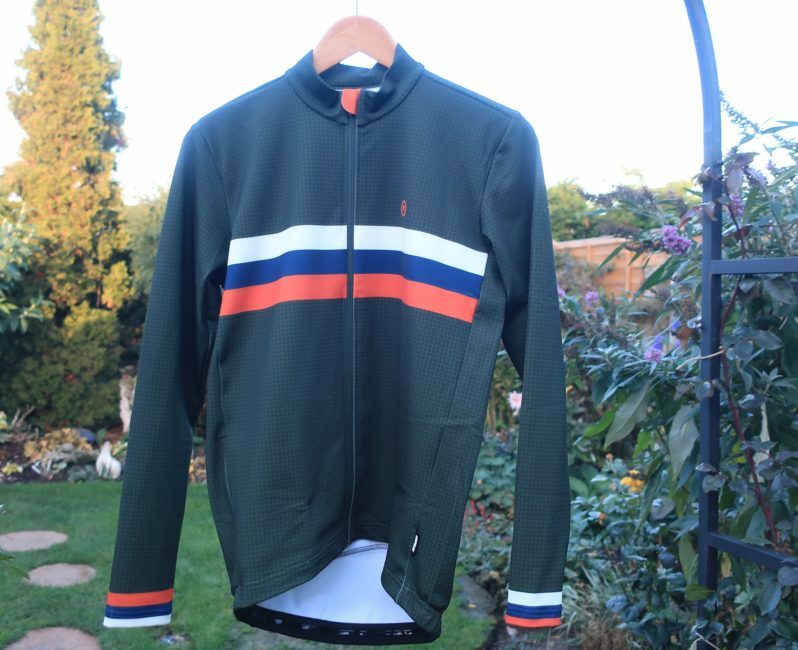 A stylish and incredibly versatile jersey.